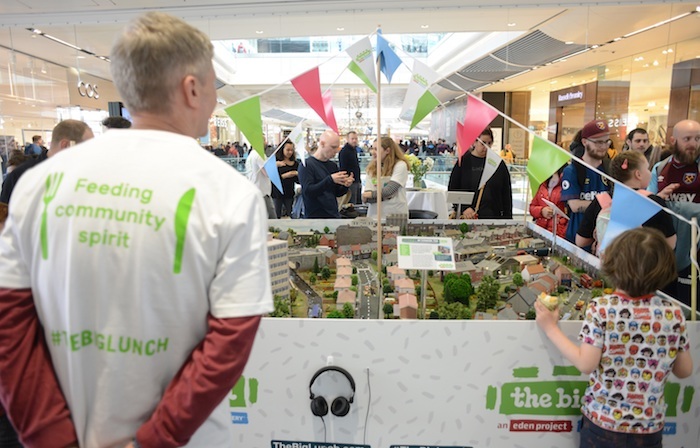 On the first weekend in June each year, more that 6 million people take part in The Big Lunch, an initiative that brings people together to share friendship, food and fun, so that neighbours can get to know one another and communities can thrive. 23red was appointed by the Eden Project and The National Lottery Community Fund in January 2019 to conceptualise and deliver an experiential roadshow of pop-up events. Starting with this weekend’s event in London, five more pop-ups are scheduled to take place between now and May 4 in Cardiff, Glasgow, Liverpool, Belfast and Nottingham. They aim to raise awareness of what The Big Lunch is, and what they can look like, encouraging more people to host their own locally on June 1 and 2.